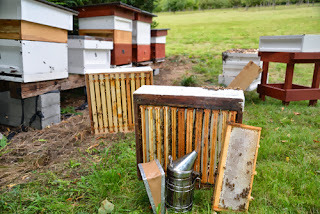 > October Beekeeping Advice- Plan for next year now! You should have your beehives just about closed down for the winter. We always change the brood box, floor and coverboard for nice clean dry ones. We also change over as many frames with drawn new foundation that we prepared in the summer. We like to collect full brood boxes of honey and keep these back to feed to our hives in the run up to winter. They do really well with a full fresh honey feed in October. So planning ahead is key to successful beekeeping. Now that you have a bit of quite time it’s a perfect opportunity to gather your thoughts on how you will strive to be a better beekeeper next year. What steps can you take to ensure the well being of your bees? Pro-active measures that can be put in place. Here at The Hive Honey Shop we all sit down and write our ‘New Season Bee Planner’. We discuss what areas we could build on, what was lacking last year, what improvements could be put in place. We make a list of equipment that needs to be repaired or replaced. 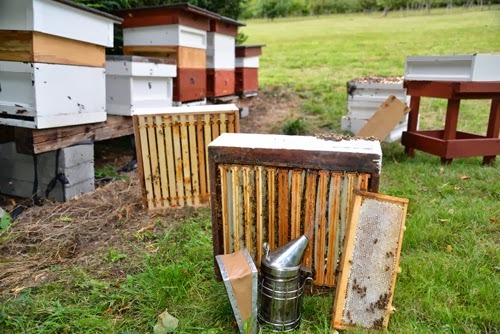 We look at apiary sites that need better securing, wind hedging, animal proofing. Can a site hold more hives, less hives. What hives need to be re-queened, how will we implement nuc building and keep our strains of bees pure. Our planner has a sort of ‘wish list’ of ideas set out month by month. We aim to be as realistic as we can and work towards achieving those goals month by month in the new year. We find that by questioning our beekeeping management we are far better prepared for the year ahead, not letting it lead us, but we lead it. In the end our beekeepers are happier and our bees are far happier too!